Fiordland is a special and unique marine environment, surrounded by natural and undeveloped native forest. 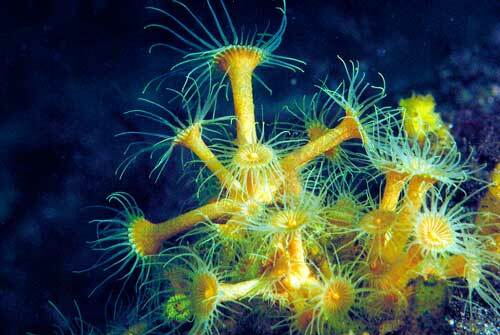 Its waters are clean and offer habitat to a fascinating variety of coral, seaweed, fish and marine mammals. A vessel of any size – or a single item of diving or fishing gear – could introduce a damaging pest to Fiordland’s marine environment or a pest-free island. 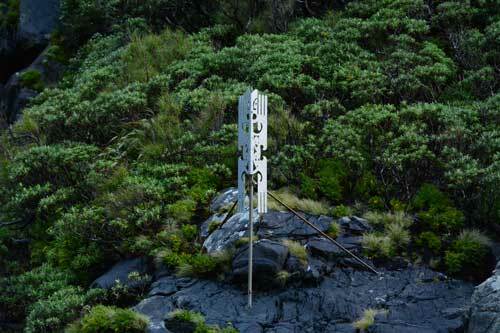 Every visitor to Fiordland must play their part in keeping this precious corner of New Zealand safe. Marine pests are species that have been introduced to New Zealand by human activities and have the potential to cause significant impacts on our marine environment and resources. 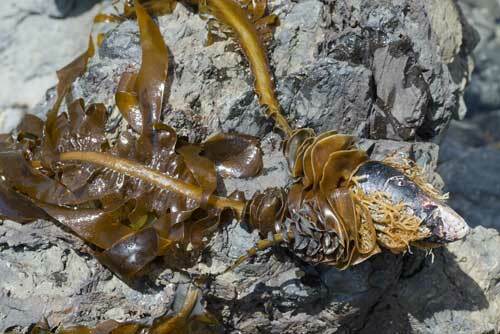 Only one marine pest is known to be present in Fiordland, the invasive Asian seaweed, Undaria. See the Marine Biosecurity Porthole for more information about marine pests. Undaria pinnatifida has been present in Breaksea Sound since 2010. An eradication programme was thought to have contained the seaweed but in 2017 it was discovered in a new part of the sound beyond the original Sunday Cove infestation. A Controlled Area notice was issued for an area of Breaksea Sound in December 2017 in an attempt to prevent further spread. See Environment Southland website for more information and a map of the controlled area. If you see Undaria or any other marine pest in Fiordland, report it via Biosecurity New Zealand’s pest and disease hotline: 0800 80 99 66. Every vessel visiting Fiordland (regardless of size) must comply with the clean hull, clean gear, and residual seawater standards and hold a clean vessel pass. See Environment Southland website to find out more and obtain or renew your clean vessel pass. Clean your vessel and gear before you come to Fiordland. Dispose of any debris from the hull on land – don’t let it get into the water. Check and thoroughly clean mooring lines / buoys, kayaks, dive and fishing gear as well as any other equipment. It is preferable to replace fouled mooring lines with new before entering Fiordland waters, particularly from areas where marine pests are present (eg, Bluff and Stewart Island/Rakiura). See these Biosecurity NZ web pages for detailed information: Cleaning Boats and Visiting Fiordland. See also our Guide to Fiordland (page 36). The Fiordland Marine Biosecurity Programme is designed to protect the Fiordland marine environment. It involves us as guardians as well as Biosecurity New Zealand and our other partner agencies. A plan for prevention, preparedness and response to marine pests is part of the programme. See Biosecurity New Zealand website for more information. The Fiordland Marine Regional Pathway Management Plan is the first of its kind in New Zealand and aims to protect Fiordland from marine pests being carried in on local and visiting vessels. See Environment Southland website for more information. Fiordland’s marine reserves offer spectacular opportunities to experience the area’s unique underwater ecosystems. Together the 10 reserves are representative of the diversity of marine environments found in Fiordland. 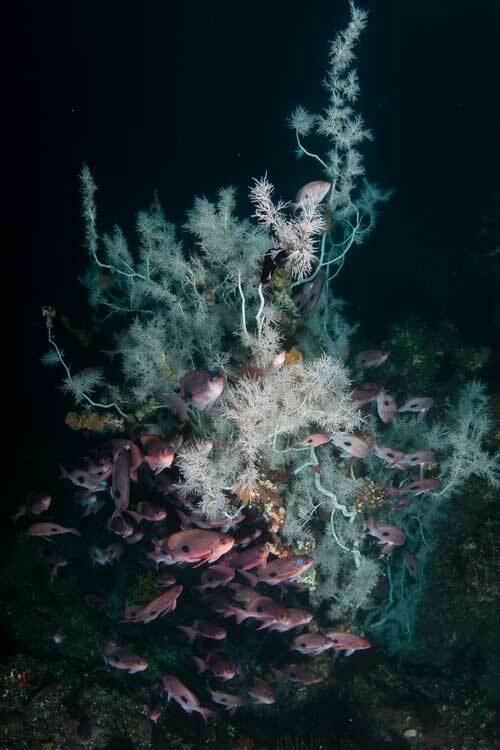 These protected areas are an important tool for ensuring our marine biodiversity is maintained in a healthy state. a downloadable 21-page brochure with details and coordinates for each marine reserve. Several areas in Fiordland are set aside to protect special plant and animal species or communities. These areas have become known as ‘china shops’ because they often contain fragile corals or sea pens. They are usually located in places with strong currents, where fiords change direction sharply or in narrow channels around islands. Some china shops are no-anchoring zones and others have restrictions on lobster potting to prevent damage to the habitats. The Narrows (Long Sound, Preservation Inlet). See our Guide to Fiordland (pages 84–139) for maps that show the locations of these areas. 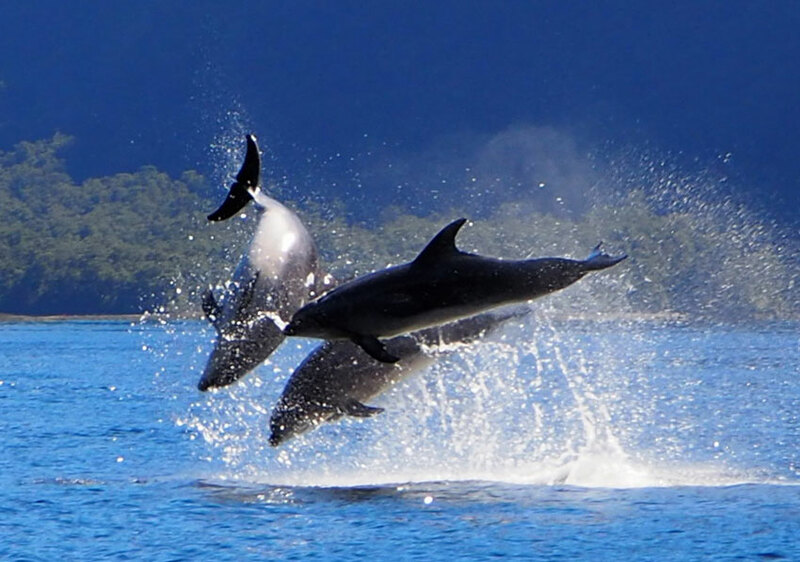 Small distinct populations of bottlenose dolphins live throughout the fiords and can be vulnerable to sharp declines in numbers. The population that lives in Doubtful Sound/Patea experienced such a decline during the mid 2000’s dropping to only 56 individuals. Dolphin encounters in this area are now required to be left to chance to give the animals space and time away from boat traffic. Dolphin protection zones have been put in place in certain parts of Doubtful Sound, these zones extend 200m from the shore and vessels need to stay out of them unless they enter and exit by the most direct route (only when dolphins are not present). See DOC website for the full set of rules and a map of the Dolphin Protection Zones. Many of Fiordland’s marine species are delicate and slow growing, so dive carefully and respect the environment you are in. Look but don’t touch – take care to avoid contact with marine life on the sheer rock walls of the fiords. 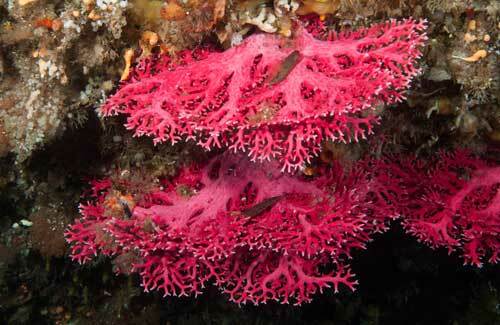 Corals are protected species and may not be harmed or collected. See our Guide to Fiordland (page 51) for more information about diving, including safety recommendations. The number of visits by cruise ships increased from 34 in the 2006/07 season to about 100 in 2017/18. Numbers are expected to increase further. Dusky Sound/Tamatea west of Cooper Island. Fiordland National Park contains a number of islands that are free from some or all of New Zealand’s introduced pests (possums, rats, mice and stoats). The islands are home to endangered and threatened native species such as kākāpō, South Island saddleback/tīeke, yellowhead/mohua, and little spotted kiwi/pukupuku. Secretary Island is free from rodents and possums. Breaksea and Hawea Islands are rat-free. Landing on Breaksea Island is by permit only. All visitors to Fiordland are responsible for keeping these islands pest-free. scrub and dry your shoes, including the soles. don’t take any plants or animals ashore. See our Guide to Fiordland (page 41) for a map of the pest-free islands and their status. See DOC website for more information about the Fiordland Islands Restoration Programme.